Item # 310135 Stash Points: 795 (?) This is the number of points you get in The Zumiez Stash for purchasing this item. Stash points are redeemable for exclusive rewards only available to Zumiez Stash members. To redeem your points check out the rewards catalog on thestash.zumiez.com. Upgrade your earring collection with the Stone + Locket Butterfly Hoop Earrings. 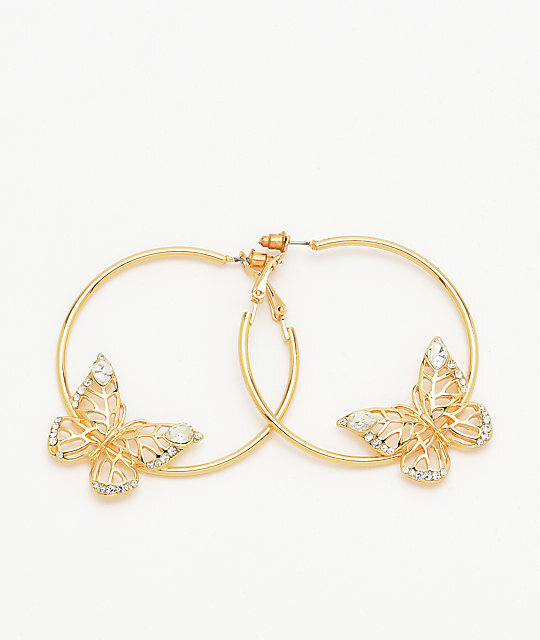 These gold colored hoops feature large butterflies hanging from them with CZ inlayed detailing. 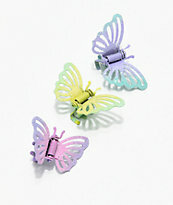 Butterfly Hoop Earrings from Stone + Locket. Hinged hoop closures, for a secure fit.